Hanover/Korbach, June 14, 2016. In MOTORRAD magazine’s major touring tire test published in its 13/2016 edition, the ContiRoadAttack 2 EVO was crowned the winner in the “highway/day-to-day” category with the most points, thereby securing the “best buy highway” title. 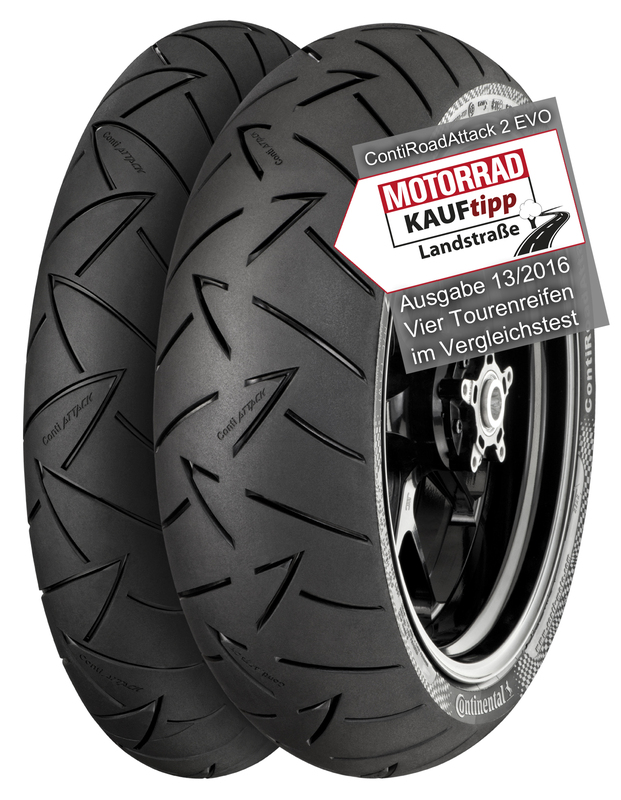 Four sets of touring tires were candidates for testing by the MOTORRAD experts – two new candidates for this year alongside one of two reference pairs of ContiRoadAttack 2 EVO tires, which were named the test winners back in 2014.